Pretty cool for of central London. Got some late night restaurants and there's a bus with people always waiting. The good thing (in a way) is that the box has no door, so the people on the bus stop will hear it for sure. The note means this box is going to be removed. In any case the enclosure is not a common type and I think it was design to improve disabled access. Payphones being vandalised in every part of the world. 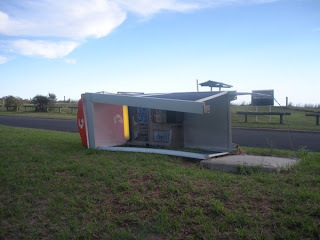 I got this picture from Bay Post a local Australian newspaper reporting on the vandalism of their local Telstra payphone and if it is viable to have it replaced again after it's been vandalised 12 times in as many Months. You can read the article here. If anyone from Maloneys Beach reads this, please if you can give me the number I would like to call the box to catch the perpetrators some how. 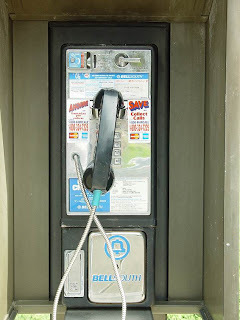 Payphones that do not allow incoming phone calls. This is becoming more and more prevalent in countries around the world. And takes away a lot of the fun and interest in payphones. 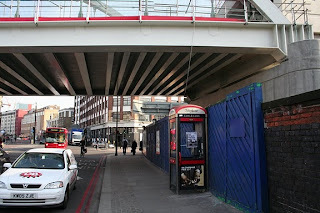 Anyways, this box is just of Oxford Street in London UK and mainly functions as a public urinal. This box at the heart of Oxford Street. Pictures taken in the early morning. You can see a street cleaner as he empties his cleaning machine. 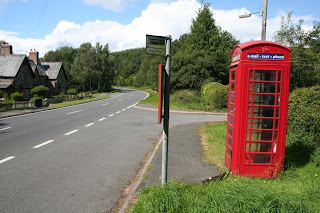 The number I have listed is for the phone box with the red top. However, I am sorry to say it wouldn't be much point in attempting to call this box as you're unlikely to get an answer. 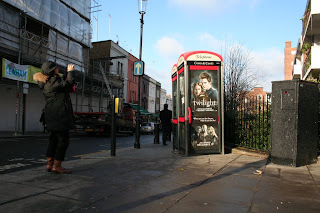 The phone does ring but not loud and they are largely disused boxes. 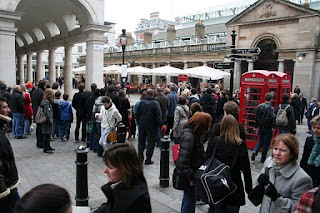 Having said that, there can culminate in quite a few people standing around the box on busy shopping days, trying to escape the mad crush on Oxford Street itself with mad shoppers. There are 16,358 pay phones left on city pavement, according to the Department of Information Technology and Telecommunications. That’s down from 33,335 in 2000 and 28,971 in 2004. More—housed inside bars, restaurants and other buildings—go unregulated. 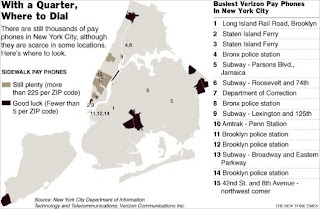 Verizon operates most of them: it has records for 7,000 outdoors and 18,000 more in subway stations and buildings. See more pictures here and here. Always wondered how hard a job it must be to wire or rewire this thing. Especially if you colour blind like I am. Well, there use to be a newspaper seller here some time ago. 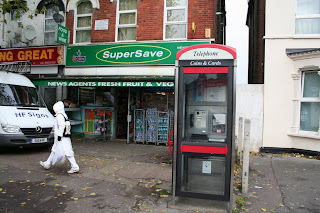 His Newsweek branded stand was position just to the left of this phone box. In the Summer there can be quite a lot of people waiting on this corner. When the weather's nice, it's a wonderful walk along the Regents Canal. Warwick Ave tube station is the nearest to little Venice. Used by London buses to dispense tickets. 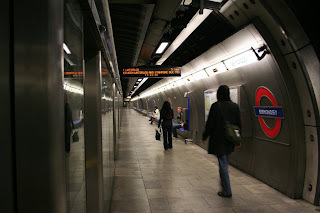 They are used mainly in inner London to avoid Lone lines of people hold the bus up to pay the driver for a ticket. The idea being that travellers buy the ticket before the bus comes. Funny thing is I've never seen one vandalised. But they are built like tanks after all. On the main A470 route that runs down through the middle of Wales. 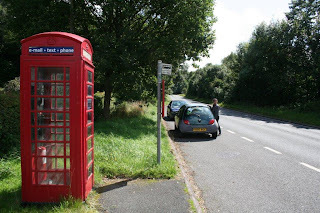 We drove for ages being reaching this phone box. Here it stands sweet as daisy in God's country among some cottages and next to the communities bus stop. Rings nice and loud. You'll also notice from the attached notice board that it's written in both English and Welsh. payphones, it's too good to miss. 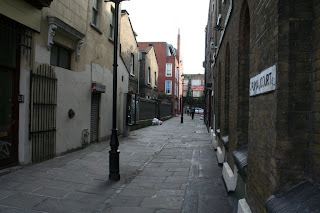 Side alley behind the Jack the Ripper pub. 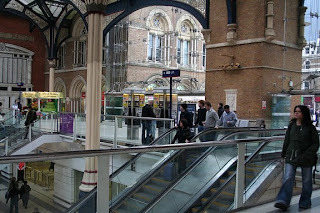 Liverpool Street station is the scene for quite a lot of facebook flash mod activity. 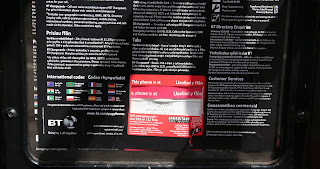 The most famous was set-up by the mobile phone company T-Mobile. Here's that commercial: http://www.youtube.com/watch?v=mUZrrbgCdYc. By the number is for the payphone to the left. New bridge being build for a new London suburban railway. In the distance, you can see the pub on the corner building. This is wear Jack the Ripper most certainly picked up or sought out is victims. In the customers stairwell. It's a busy place and rings at a good volume to get noticed. Also, in one of the pictures you can see the famous Harley Street out the window. Wouldn't it be cool to have the number of this box? Nice spot next to some outside seating for this small café in Portimão. Portimão is located in the District of Faro in the Region of Algarvethe southern coast of Portugal. Should get a answer, but it'll probably we a tourist rather than a local. Love this one. In the underground network. Just adjacent is a small kiosk. Everyone in this ticket hall will notice this ringing payphone. 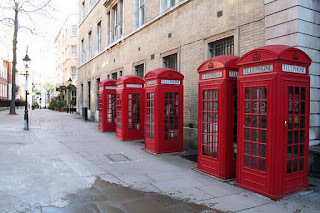 Famous set of boxes (well it's in the wiki page for phone booths). snapping them. 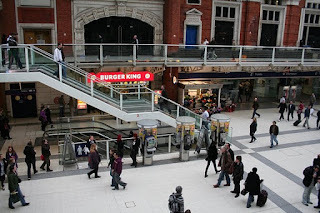 It's placed very near to the famous Covent Garden. This is from the famous Covent Garden. 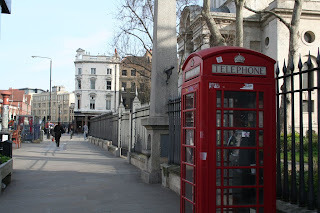 Tourists use this box for their pictures of our British phone boxes. Otherwise these payphones rarely get used. You can see to the left a crowd gathered for one of the street performers. OK, this is it. 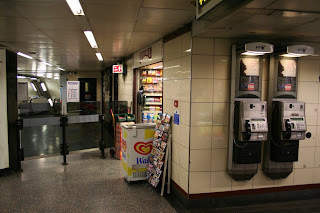 I have searched through hard for a payphone that is platform side on the London underground network. Although it is not a deep level station, it is proper underground. This platform is Westbound so you'll get commuters heading for London Bridge and the West End. Rings load and you always get someone sitting on the bench beside the box. Better enjoy this as it is pretty much the only one left that is actually underground, last Year Transport for London when about removing all clutter such as payphones (if you want to call a payphone "clutter" that is) and vending machines, from within the underground network. They've done it because the number of people user the underground has and still is increasing and they need all the space they can get. This is another shot of a popular contribution I made a few Years ago to the payphone project (http://www.payphone-project.com/gallery/England/16010202_G). It is strange about the phone number for this box, as it has changed since my last visit. It used to be +442072299088, although that number still rings I have no idea what phone that old numbers leads us to. In any case the number is it's present correct one. This place is heaving on a Sunday. It's the world famous antiques market. And the scene for the film "Notting Hill". This used to be an awesome shopping centre in the heart of Londons West End. Now looking ever so dead, it's demise came with the closure of the centres' McDonald's store that was a major attraction for visitors. Soon after the cinema went out of business. This box will most probably be used by the local arab community (just as it was at the moment of this shot). 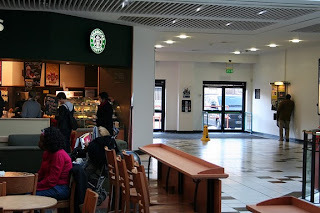 In any case the payphone rings loud and clear so you'll disturbe the people sitting to the left at Starbucks. Near a place where I used to live. Very busy shop this is. In the Summer Months you'll always have someone hanging around the shop special someone from the local Turkish community. Just under the wording, "agents" you can see the cigarette rack inside the shop that's where the shop keeper spends his time. His phone is smack next to the register give them a call: +442088888682.